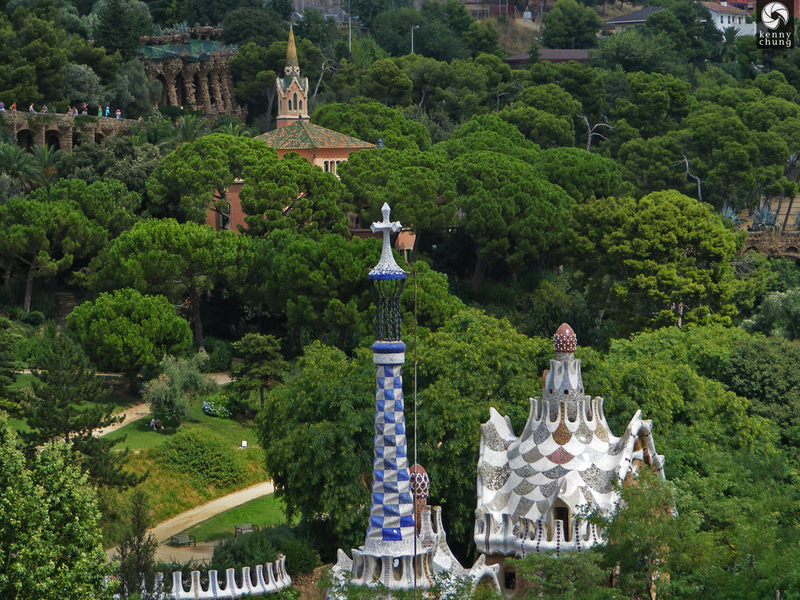 Park Güell is a large public space designed by Antoni Gaudí, marked by intricate mosaic work and colorful sculptures in tune with nature. 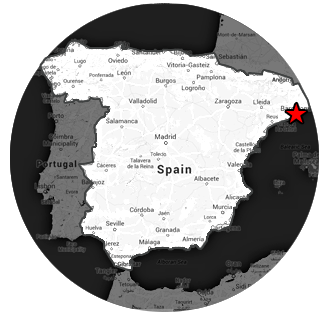 It is also home to the Gaudí Museum. 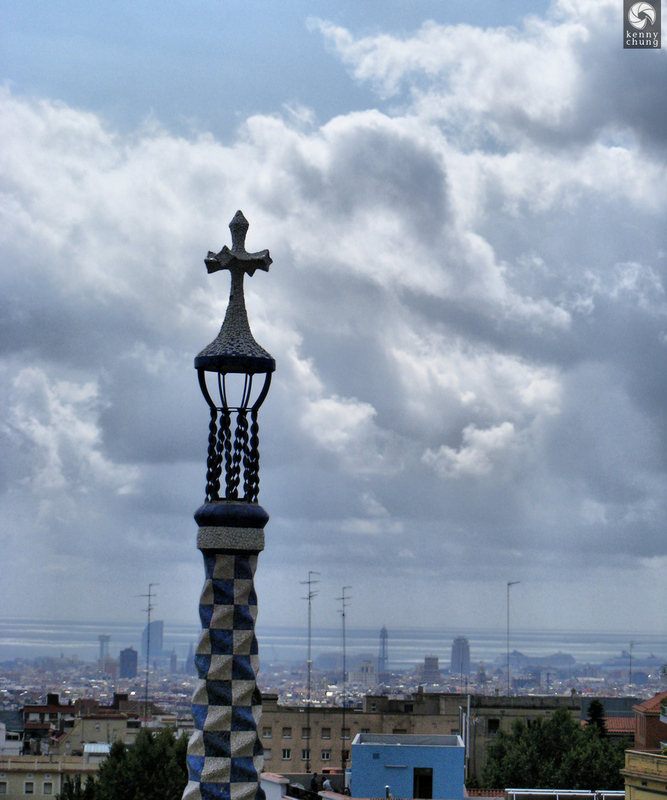 A tall tower with a cross on top can be seen from most places in Park Güell. 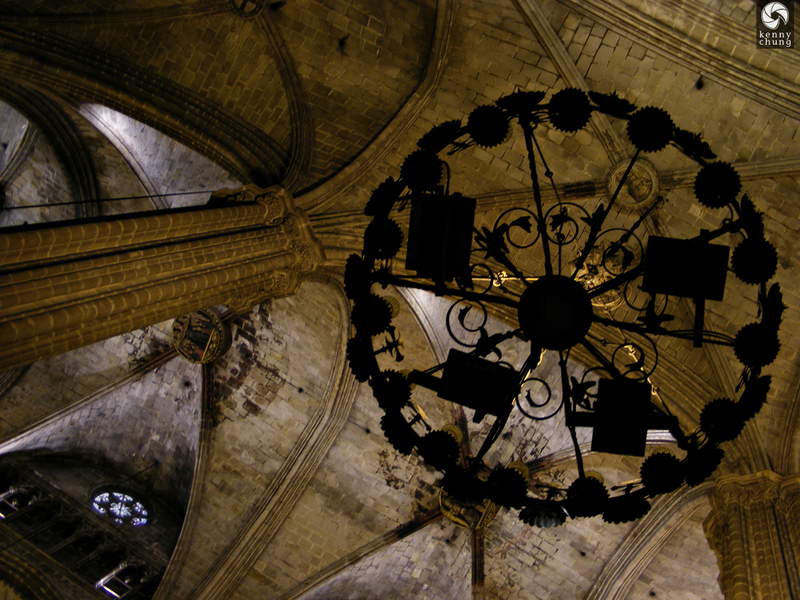 Another look at the cross. 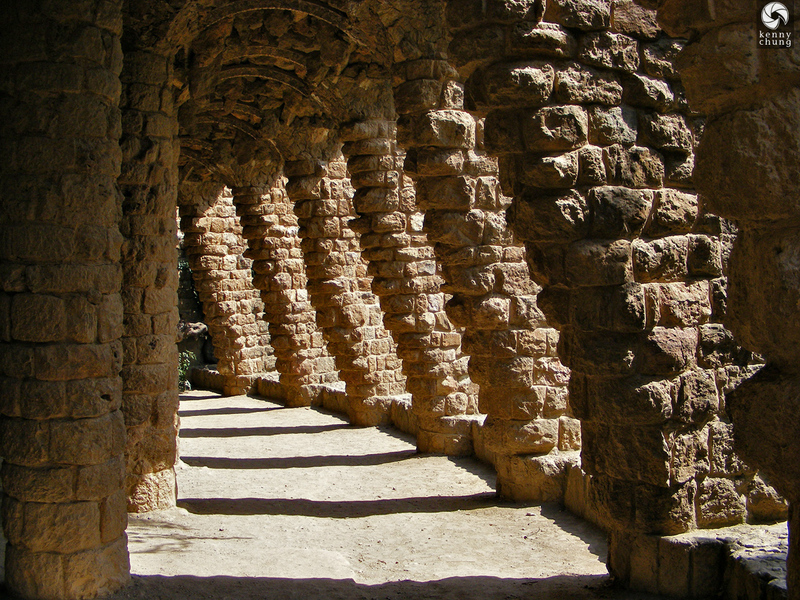 A structure of stone pillars casting shadows in Park Güell. 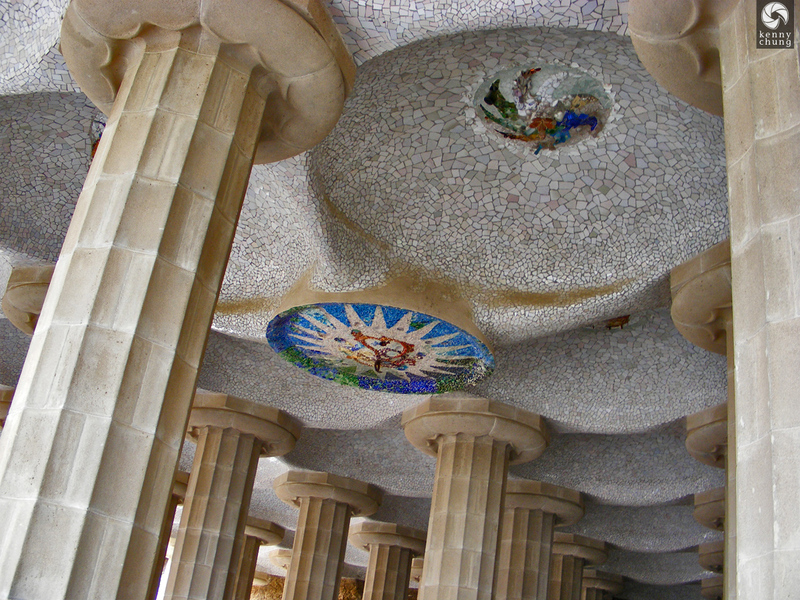 Pillars and a tiled ceiling mosaic in Park Güell. 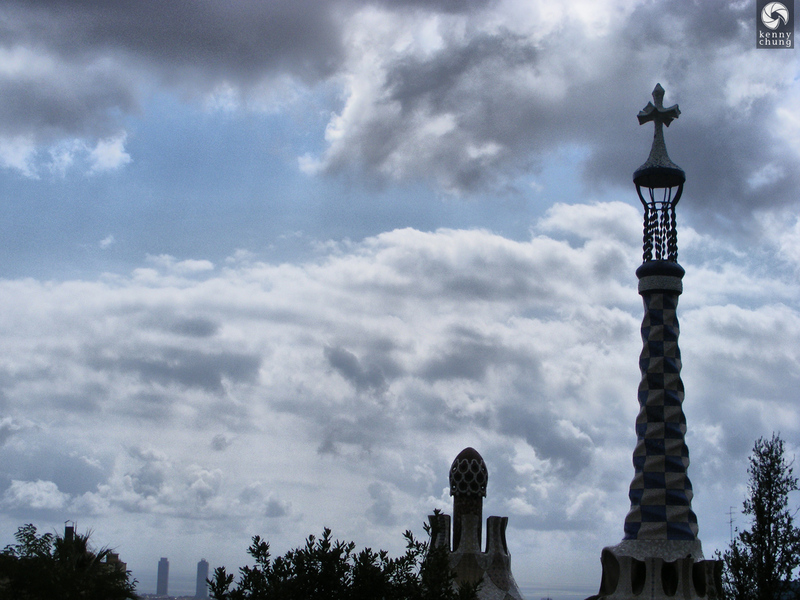 A view of Park Güell from one of the highest points of the park. 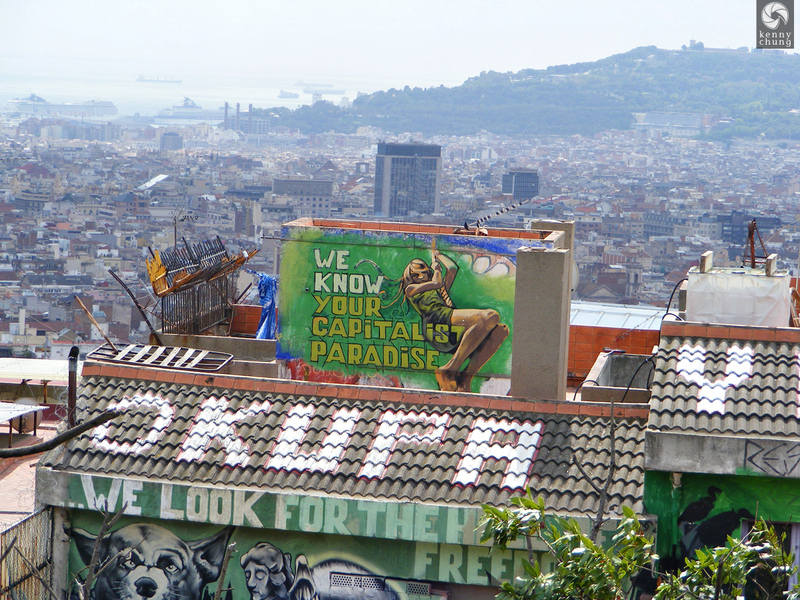 Some rooftop graffiti in buildings located in or adjacent to Park Güell. 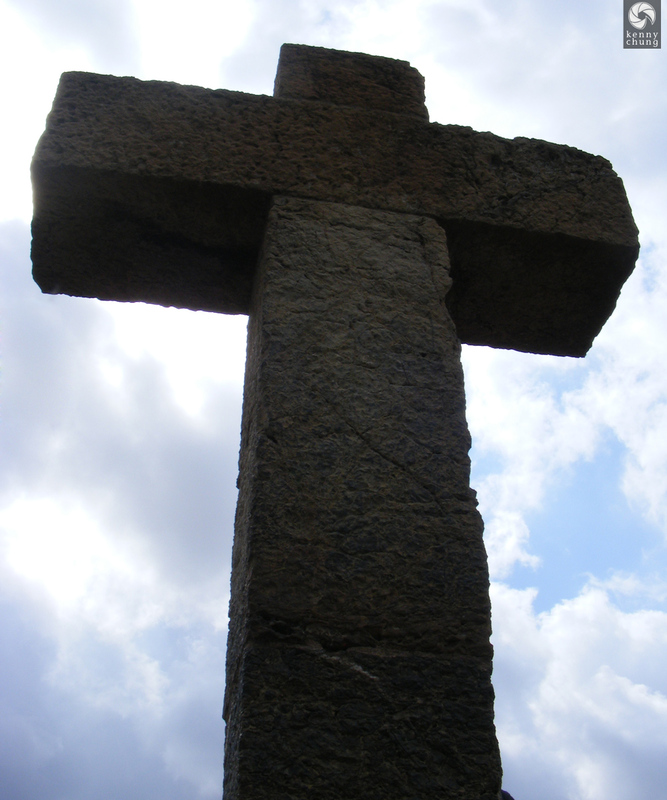 This stone cross was atop a spiraling staircase, probably one of the highest points in Park Güell. 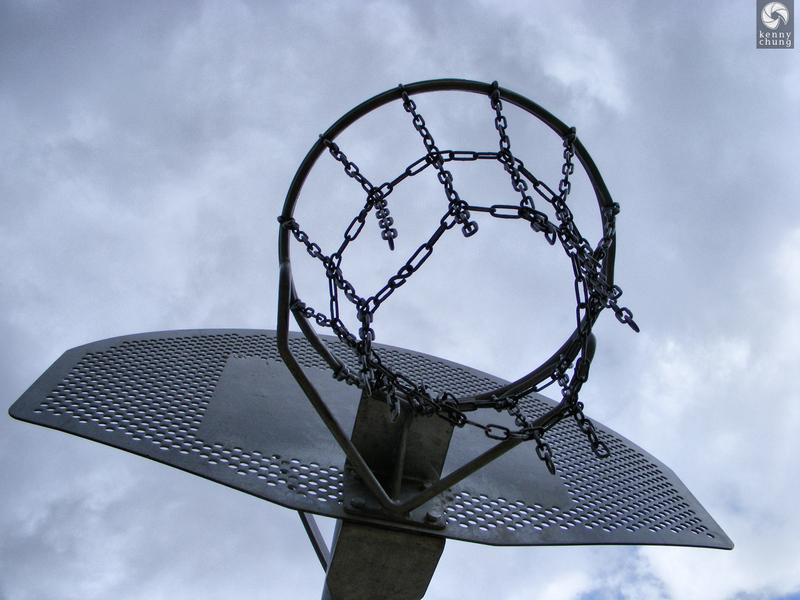 A basketball hoop in Park Güell. 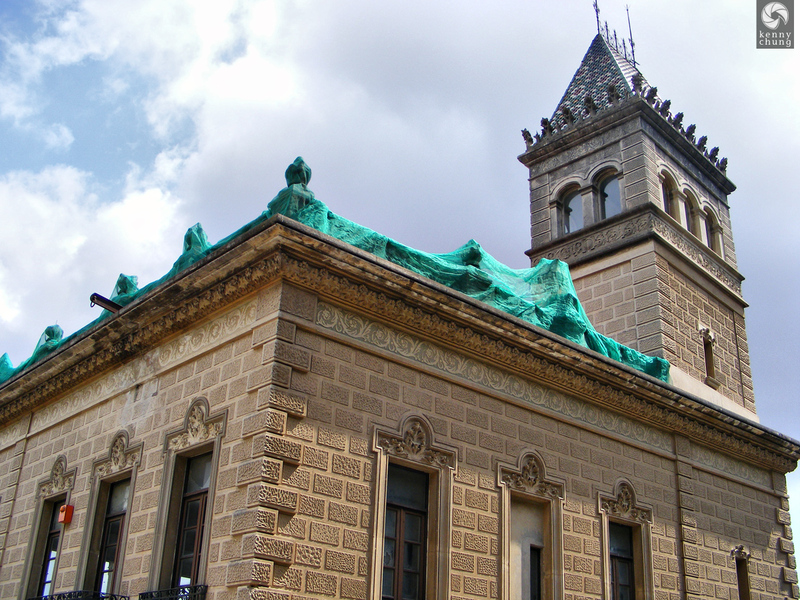 Some sort of watchtower in Park Güell covered with turquoise fabric. 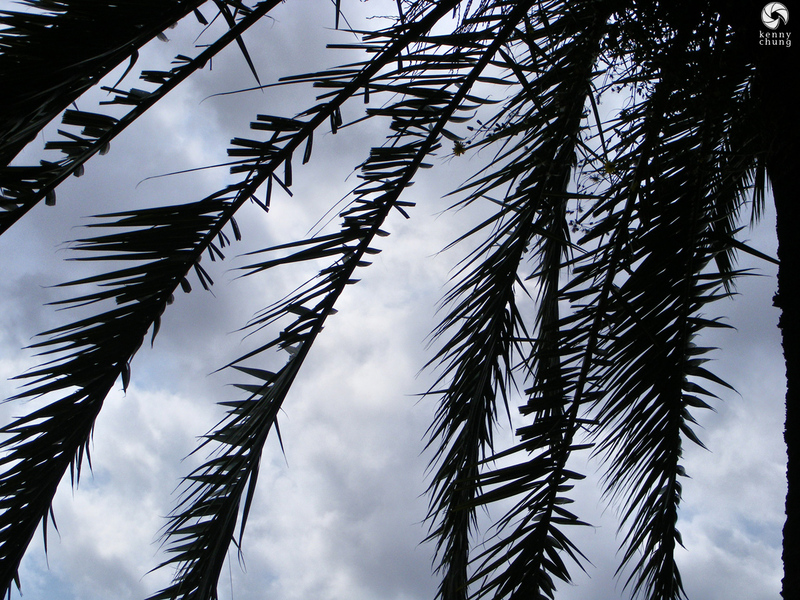 The sky through some tree leaves in Park Güell. 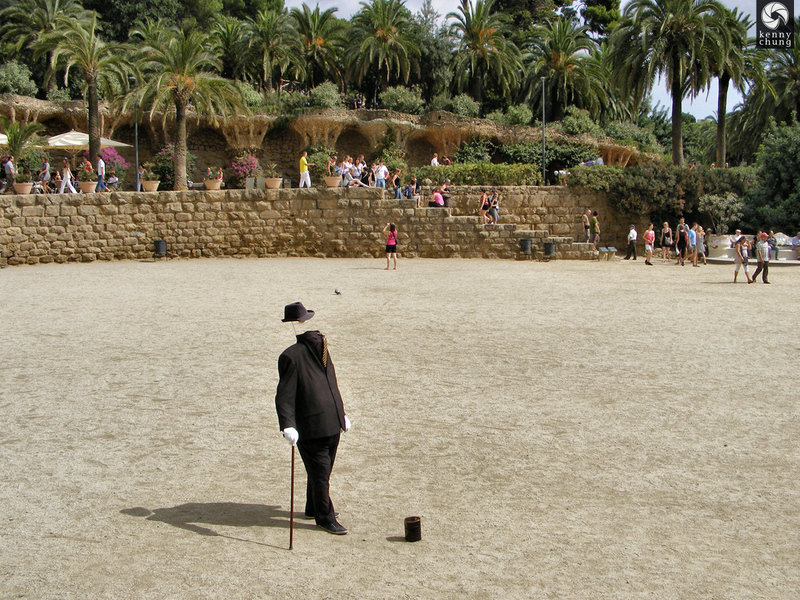 A headless street performing busking near the entrance of Park Güell.